Who’s on the driving seat of tram policy? Do you know him? Sit Kwok-keung is a retired government town planner who runs a consultancy firm called Intellects and has single-handedly whipped up a storm over the fate of tram service. Never mind if you still cannot name his name and his consultancy. 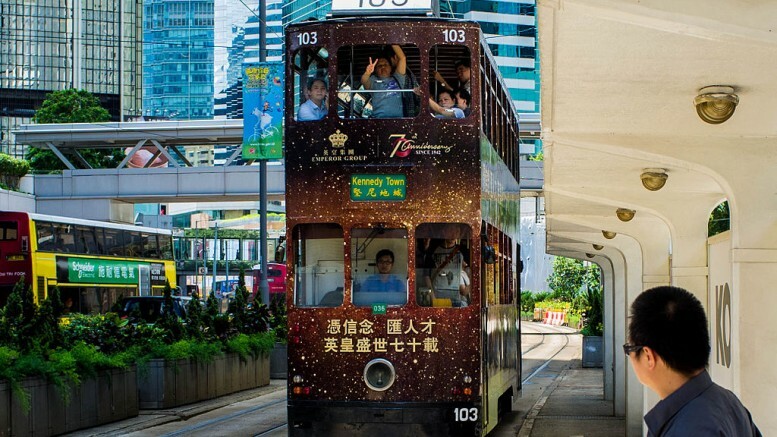 Admittedly, the question of who suggested a ban on tram service between Central and Admiralty has become irrelevant now that the idea Sit floated has gained its own life. First touted through social media nine days ago, Sit’s idea has triggered a fireball of fierce attacks from netizens, with few supporters and sympathisers. The mainstream media has given sharply different treatment to his proposal. They have accorded scanty coverage of it on their new platform. Some have put the item on their political news gossip section, the importance of which is equivalent to the likes of Regina Ip Lau Suk-yee’s colon check report. In sharp contrast, online news and views platforms, current affairs radio talk-show and phone-in programmes have given good coverage to the controversy,. At least one, the Radio Television Hong Kong, has given air time to Sit, who was identified as a retired government town planner, for him to explain his recommendation. In many sense, Sit’s idea would have been dismissed as just an idea by anyone. No more. No less. Few would have given it a damn. As of now, there has been no evidence suggesting there are big business or political interests behind him. In a belated move, the Government has issued a statement on Wednesday to distance itself from Sit and his consultancy firm. In case you have missed the terse statement. It read: a government spokesman clarified that the recommendation is neither a government proposal nor a proposal by a consultancy commissioned by the Government. The Government’s clarification, however, has failed to kill the story and to remove it from the city’s agenda. On Sunday, a group of supporters for tram service has staged a petition in Central. Riding on the wave of opposition against the proposed ban, they went further to propose turning a key section of Central, or from Pedder Street to Western Market, into a pedestrian- and tram-only zone. The proposal will be submitted to the Town Planning Board. However stupid Sit’s proposal sounds, the fact it has gained publicity and, more importantly, created and put a policy issue on the city’s agenda says something about a weak government whose ability in agenda-setting, shaping and responding to public opinion is on decline. The terse Wednesday statement aside, the role of government in the public debate on trams is almost invisible. The danger of government losing control in setting agenda is that its policy agenda will become vulnerable to the volatility of public opinion. Take the tram row as an example. It is obviously clear that the Government has no plan to change its tram policy. Nor it wants to toy with opposite ideas such as pedestrian- and tram-only zone in certain areas, in particular Central. Chris Yeung is a veteran journalist formerly worked with the South China Morning Post and the Hong Kong Economic Journal. He writes on Greater China issues. Be the first to comment on "Who’s on the driving seat of tram policy?"